Could've been a neat game, player direction wasn't to great, got stuck probably to my own fault. 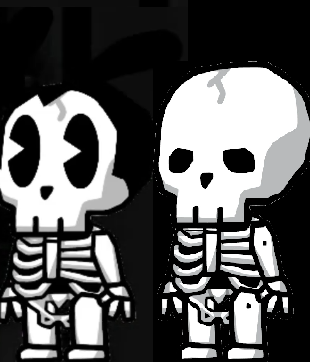 The main mascot used in this game is actually just the scribblenauts skeleton texture changed slightly, it even has all the slight artistic style like how the legs are much larger instead of being boney like the rest of the skeleton. See for yourself. So, not sure how well this will be received or if we happened to have found the same audio but, the song in the very beginning of this game is the exact same audio I have in one of my Youtube videos I uploaded in 2014. I'd love to know where you found the music! Thanks! I really like the atmosphere of the game and think the art is spot on. I do feel like there are some missed opportunities though to make it more creepy. You mind if I draw Skelety with my Oc Debra ? could you send me the drawing to this email address fc.games.ind@gmail.com? 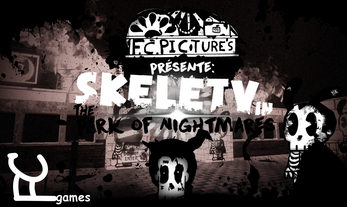 Played this for a 3 free indie horrors. if you're looking for good honest feedback i give a full in-depth review in the video. This looks like that ink game! Thanks for sharing cool game stuff..!! Ask me for Roadrunner email support anytime..!! Awesome little game, i loved it! great job! This game has potential, I really liked the environment.. but shooo it really scared the wits out of me when the dude started chasing me lmao. Check out my walkthrough! 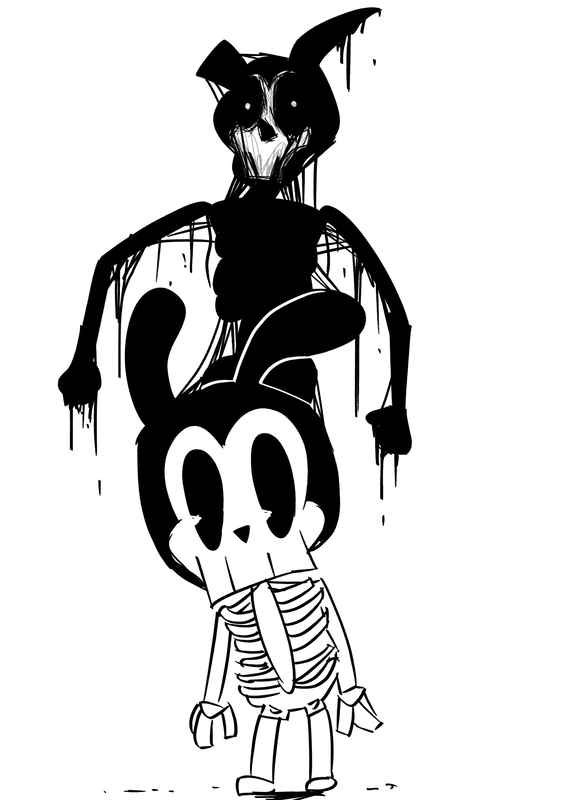 This literally, reminds me of "Bendy And The Ink Machine"! hello I can put it in my game? It's not bad at all! I love it. There was a lot of surprises which scared me a lot. What an incredible play, I wish I understood french so I could get the full spectrum from this game. Regardless this game was so well constructed I understood what to do without any instruction at all. The art style is incredible and sets the atmosphere in an incredible way. I would love to see more of this game, you did an amazing job on this. Definitely a good bendy fan game. Though I really recommend having an options section for audio and consistency for free 360 looking vs limited cardinal 360 looking. Beyond that, great game and some interesting ideas. I want to see more of this. P.S: PLEASE MAKE THE WATER RIDE WORK :C!! Fun and creepy! Have to echo what others have said, the game is really really dark at times but I still enjoyed my time with this game! Looking forward to seeing more from this game and your studio! I played this game for my indie games showcase last night. I thought the game was good. I still think that with a little polish this game could be a successor to Bendy and the Ink Machine. Looking forward to seeing what else is coming for the game. We loved this game!! Good atmosphere too!! Can't wait for part 2! !